We believe this blast from the past is a 1970s Zenith speaker with a 9" x 3-1/2" oval paper cone and a 3/4" voice coil. Rated for 7W at 8 Ohms, with a 2-3/4" dia magnet. 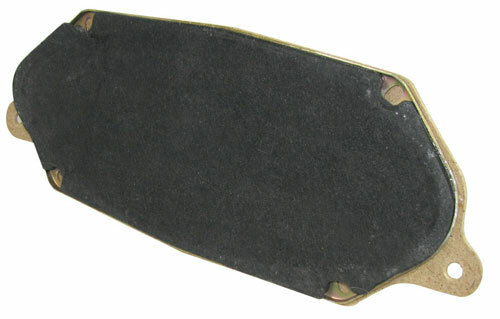 Measures 10" x 4-1/4" x 2-13/16" deep with (4) 1/4" mounting holes. The mightiest mites of all, piezo elements. 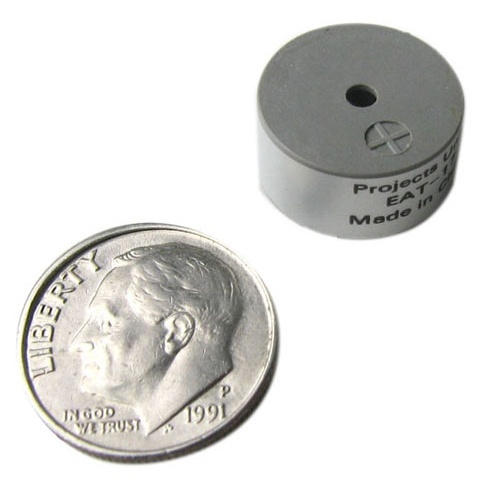 These are mounted in a 9/16" dia x 1/4" thick housing with a pair of 3/16" radial leads. The positive lead is marked. 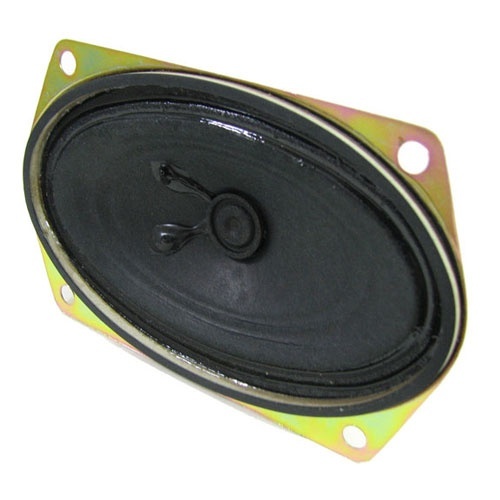 Nice little 3" x 5" oval (actually elliptical) 4 ohm speaker is rated for 5W with a 1/2" dia voice coil. 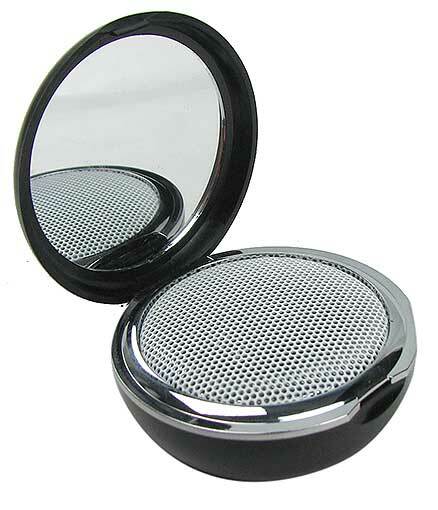 Has (4) 7/32" mounting holes and measures 1-3/4" deep over all. This Motorola Golden Voice speaker is vintage, we're just not sure what vintage. Based on its shape, we think it's from a car radio. What we know for sure is that it has a 4-Ohm impedance, measures 4" x 10" x 2" deep and is mounted on particle board that measures 4-3/8" x 11-1/4" with mounting tabs on the long ends. 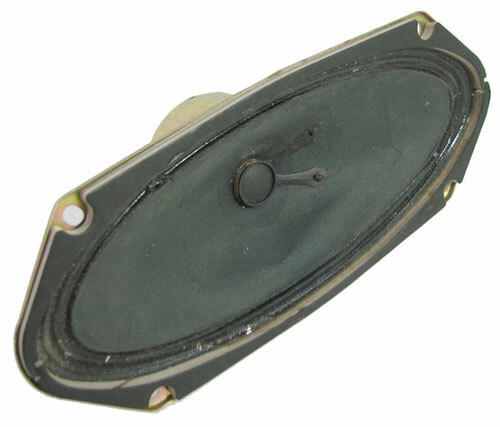 Voice coil is 1-1/8" and it has a pair of quick-disconnect terminals. 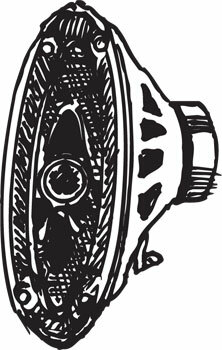 No wattage rating but our vintage speaker expert (old, but still working) says it'll be OK for up to 10W or so. Made right here in the USA, so you know it's vintage. Just because something is strange doesn’t mean we won’t sell it, or that you shouldn’t buy it. In fact, we see it as an incentive in both cases. 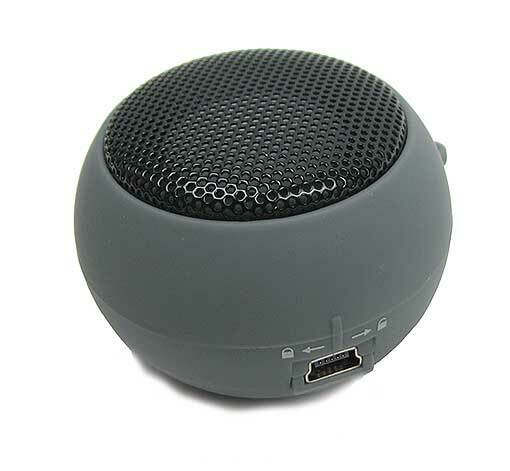 This 2W USB-rechargeable speaker is in a folding 2-3/8" dia x 1-3/16" black plastic housing that flips open to reveal a mirror in the lid, like a compact. You can check your teeth for bits of spinach while listening to Stairway to Heaven, and you’re welcome for that. Includes a 22" cord with a 1/8” standard headphone jack, which also charges the speaker. It’d be a big bug, but as speakers go this cutie is teensy. Measures just 2" dia x 1-1/2" thick in a flattened gray and black plastic sphere that pops open to a reveal a bellows for added sound. Has a standard 1/8” mini-plug jack on a 2-1/2" cord, and a power/volume switch. The amplification is better than it has any right to be, according to Paul, our VP for That Sort of Thing. Great for the pool, beach, patio and raves. Will amplify for approx (2) hours on a charge, and it comes with a 16” USB to mini-USB charge cord.